Moogk, Edward B.. "Gitz Rice". 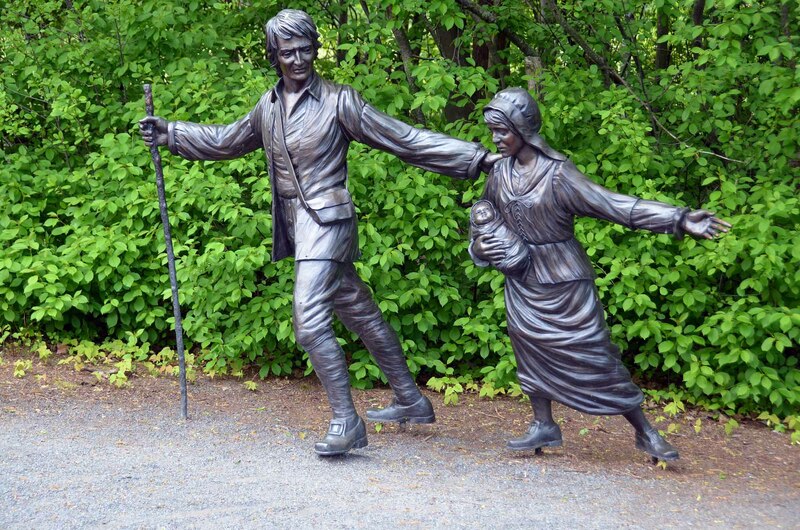 The Canadian Encyclopedia, 10 April 2019, Historica Canada. https://www.thecanadianencyclopedia.ca/en/article/gitz-rice-emc. Accessed 18 April 2019. Gitz Ingraham Rice, songwriter, entertainer, pianist, soldier (born 5 March 1891 in New Glasgow, NS; died 16 October 1947 in New York, New York). Gitz Rice was a songwriter, pianist and occasional singer who wrote many of his most popular songs (e.g., “Dear Old Pal of Mine,” “On the Road that Leads Back Home,” “Keep Your Head Down, Fritzie Boy”) while serving with the Canadian Expeditionary Force during the First World War. After being gassed at Vimy Ridge, he stayed in the service as officer-in-charge of musical entertainments for the Canadian Army. 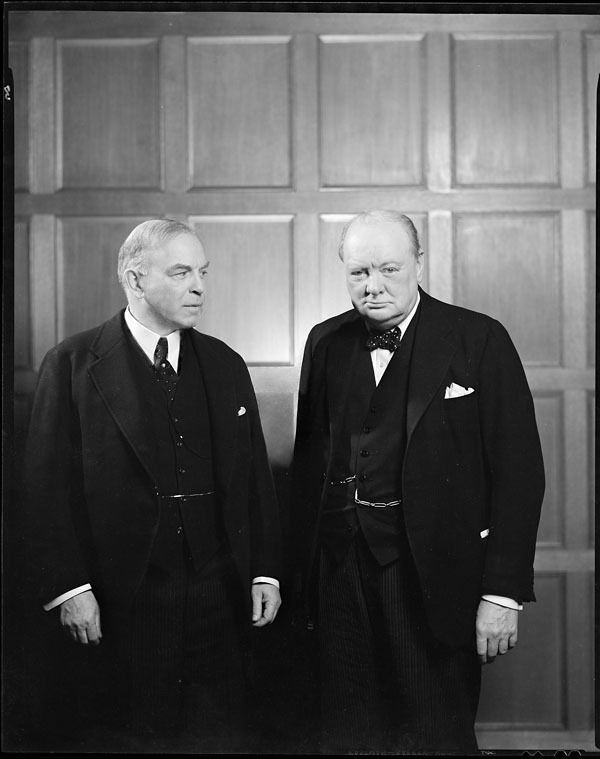 He also entertained the troops during the Second World War. Rice studied at the McGill Conservatory before joining the first division of the Canadian Expeditionary Force	at the outbreak of the First World War. 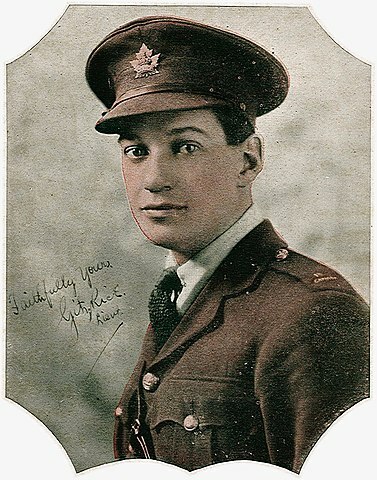 He fought in many major campaigns (including Ypres, the Somme and Vimy Ridge) and played piano	on occasion for the Princess Pat’s Comedy Company (see Dumbells). Legend (likely apocryphal) has it that it was Rice, playing “Silent Night” on piano at the front lines of Ypres, that inspired Canadian and German troops to lay down their arms and sing in unison on Christmas Eve 1914. Rice was invalided, and was falsely reported to have been killed, after being gassed at the Battle of Vimy Ridge. However, he stayed in the service as officer-in-charge (lieutenant) of musical entertainments for the Canadian Army, supervising shows for some 70,000 soldiers each week. 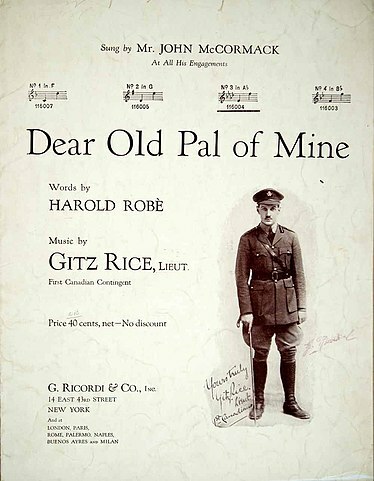 Sheet music cover for "Dear Old Pal of Mine," published in 1918 by G. Ricordi & Co.
Rice’s songs included “Keep Your Head Down, Fritzie Boy” and “We Stopped Them at the Marne” (published by Leo Feist, 1918), as well as “Some Day I’ll Come Back to You” and “Burmah Moon” (Henry Burr 1919). “Dear Old Pal of Mine,” his greatest hit, and “On the Road that Leads Back Home” (Ricordi 1918), were featured in the recruitment show Getting Together, which was staged in New York City in 1918. Rice’s recordings of his “Life in a Trench in Belgium” for Columbia and “Fun in Flanders” for Victor, both made with Burr, were also popular. Rice’s purported role in the authorship of “Mademoiselle from Armentieres” is unsubstantiated. 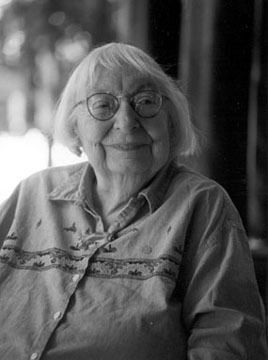 Other Rice songs were published by Delmar in Montreal and Chappell and Ditson in the United States. After the war, Rice subsequently worked in vaudeville, staging his own revues and at one point reportedly performing with the Marx Brothers. He also recorded as a singer for Victor and Pathé and in the late 1920s made piano rolls for Ampico. He occasionally sang and played piano at the Maples Inn in Lakeside (now Pointe Claire), Quebec, and again entertained the troops during the Second World War. Rice’s many recordings, as well as many of the artists who recorded his songs, are listed in Edward B. Moogk’s Roll Back the Years: History of Canadian Recorded Sound and Its Legacy, Genesis to 1930 (1975).